The Wilmer® Carrying Orthosis is constructed of tubular stainless steel for strength and weight reduction. Available in two prefabricated sizes. 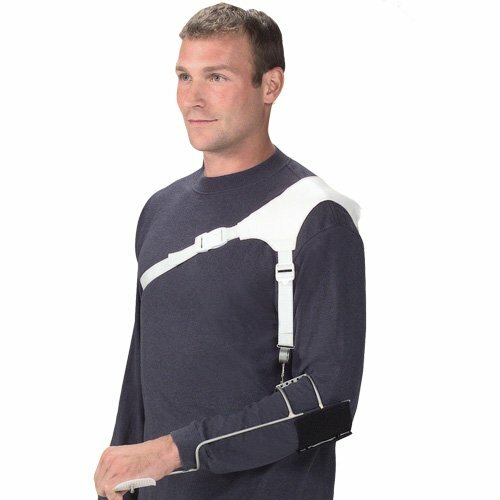 Effectively neutralizes shoulder subluxation by utilizing the weight of the patient's forearm as a counterbalance to maintain optimal positioning between humerus and GH joint. Restriction of edema formation in forearm and hand. Allows passive internal/external rotation of the humerus. No neck loading, or restriction of arm mobility. Streamlined design allows for optimal coosmesis when worn under clothing. Tubular stainless steel construction provides a rigid orthosis that weighs less than half a pound.